I'm happy to report that Emmett's first birthday party (Theme: Mod Monkey) was a complete success.� There were very minimal freakouts or snafus, and I think it's safe to say that everyone had a great time.� A huge thanks goes to my parents, Niki and James for helping out and to everyone who attended and sent gifts, cards & Happy Birthday wishes to make his day special. It goes without saying that Emmett made out big time with all his presents.� He received not one -- but two -- ball pits (you jealous? 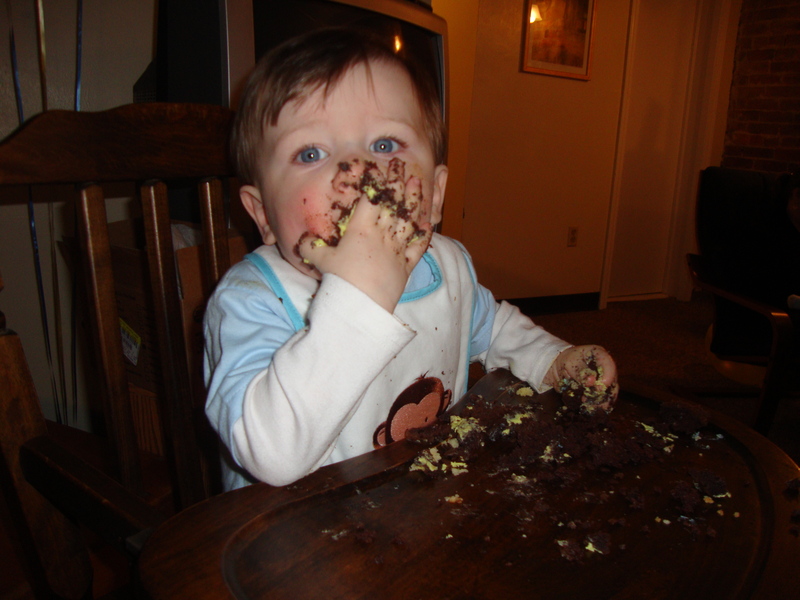 ).� However, oddly enough, Emmett's favorite present seemed to be a cupcake-shaped Target gift card from Uncle Shawn, Aunt Sara and cousin Ben.� It must have been that whole give-a-kid-a-present-and-he'd-rather-play-with-the-box mentality. *Fun Fact: Emmett is sitting in the same high chair I sat in on my first birthday. James took Emmett to his 1 year checkup on Tuesday, and the little man is doing just fine.� He's now 22 lbs. 10.5 oz. (49th percentile) and 32 inches long (96th percentile), and he even got the go-ahead to start substituting whole milk for formula. I still can't believe it's been a year, but I've enjoyed every single minute of it! 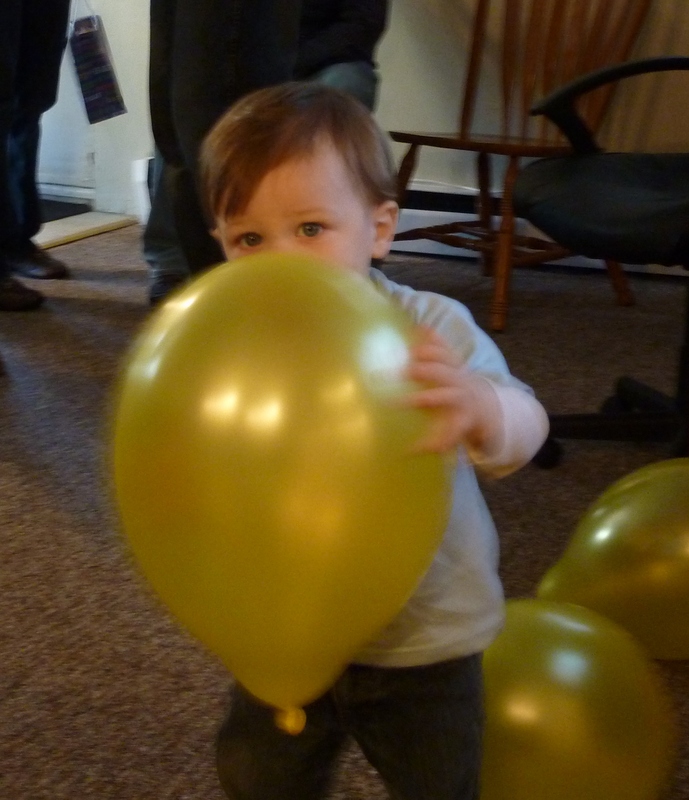 For more photos from Emmett's first birthday party, check out the Birthday set on Flickr. Ever since Gran Lucy took Emmett to the Boston Children's Museum a few months ago, James and I have wanted to take him back together. Well, we finally got the chance last night, and boy was it a bargain!� Friday evenings from 5 to 9 p.m. the museum offers $1 admission (compared to the normal $12) sponsored by Target, and since admission for children under 1 year is free, we got into the museum for a grand total of $2!� Of course, we had to pay for parking, but it was totally worth it. 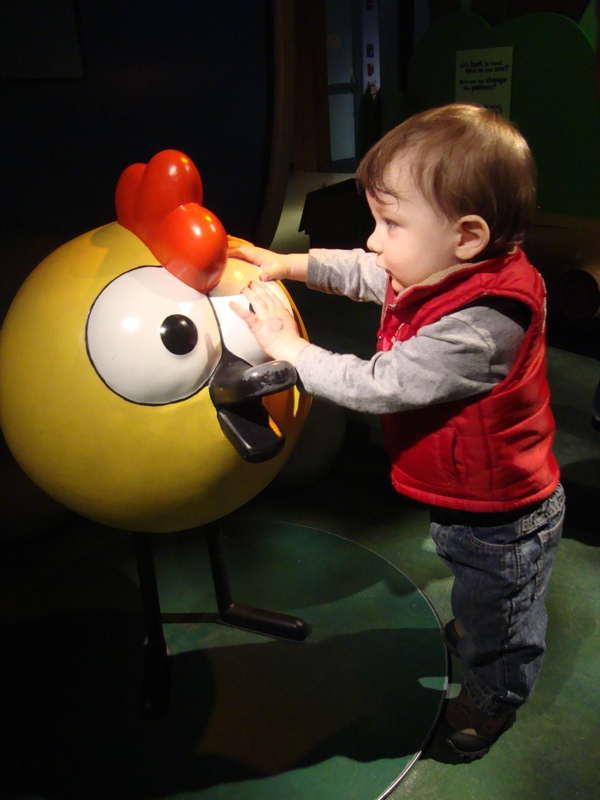 There's not a ton for Emmett to do there yet at his age, but if we only have to pay $1 a piece, I think we'll definitely be heading back on future Fridays.� There are a couple of sections of the museum that are specifically geared toward toddlers, like the PlaySpace and Peep's World, where we spent most of our time.� Still, I can't wait until Emmett is old enough to enjoy some of the cooler areas of the museum like the awesome New Balance Climb, a "3-story climbing sculpture made of brightly painted curved platforms. "� To be honest, James and I both wished we were a little younger so we could play in it ourselves. The coolest thing about the trip was the opportunity for Emmett to interact with other kids his age, which he rarely gets to do.� James and I had a lot of fun watching him play.� Let's put it this way -- Emmett is definitely not a shy kid, and he definitely doesn't need to know James and I are in proximity to have a good time.� Oh, and yeah -- he's a huge fan of bubbles. 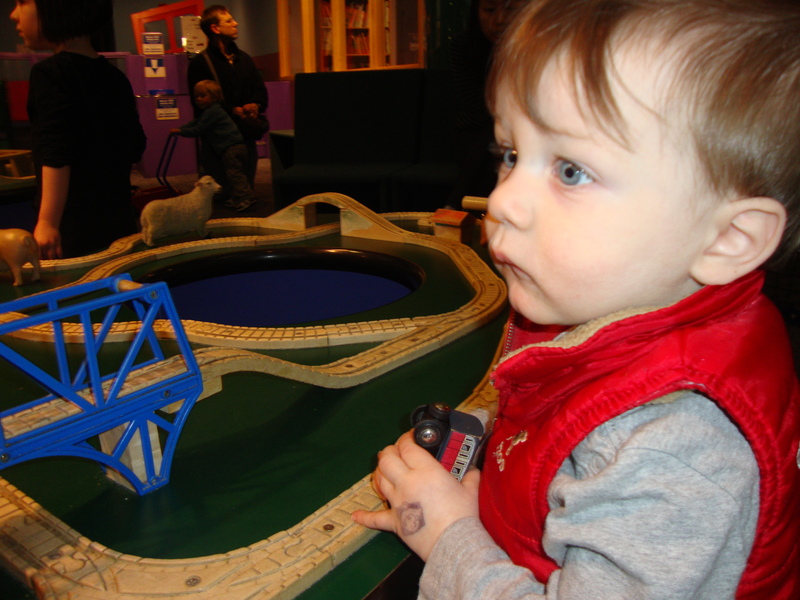 Find more highlights from our trip in the Boston Children's Museum set on Flickr. 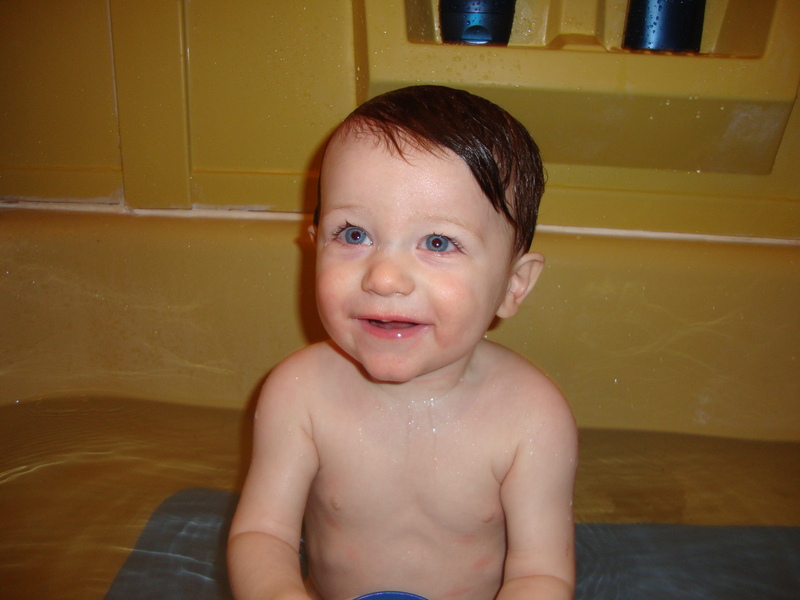 Emmett outgrew his "Newborn-to-Toddler" tub months ago.� It's been practically impossible to keep the kid's bottom half completely submerged in the thing for a while; he kind of looks like a grown man riding a tricycle with his knees uncomfortably poking him in the face.� Now I know Emmett is somewhat of a long baby, but the "to-Toddler" part of that tub is just unrealistic. 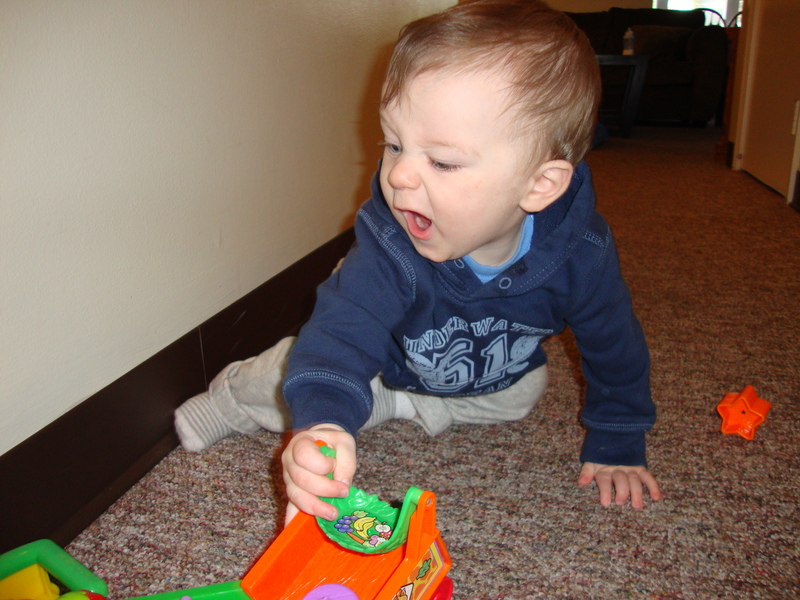 But hey, 1) why would you need your toddler confined to a small plastic tub anyway and 2) who cares?� He absolutely loves the big tub, and now he has the perfect opportunity to play with all 5oo of his bath time squirt toys. 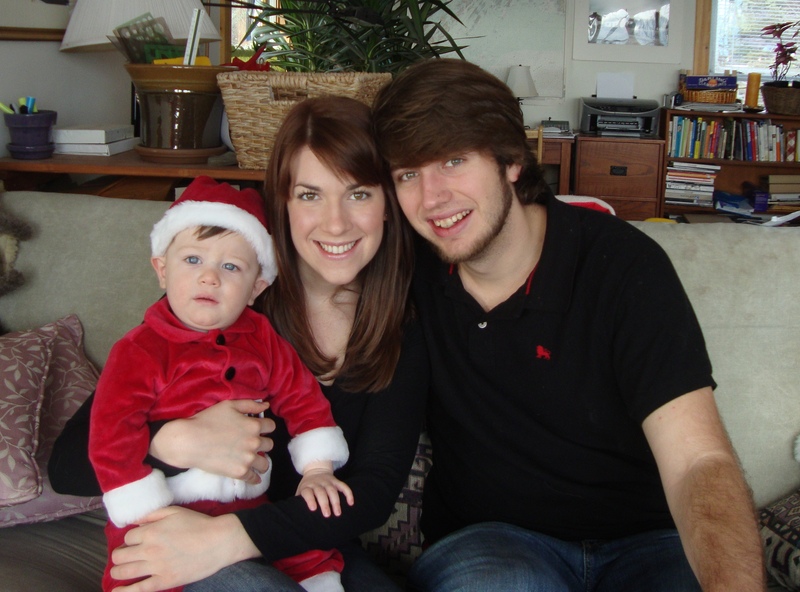 2009 - what a year!�� I became a mother and an aunt, James graduated from BU and Emmett hit some major milestones.� I think most of my immediate family members regard 2009 as one of - if not THE - best year yet, and I could not agree more. 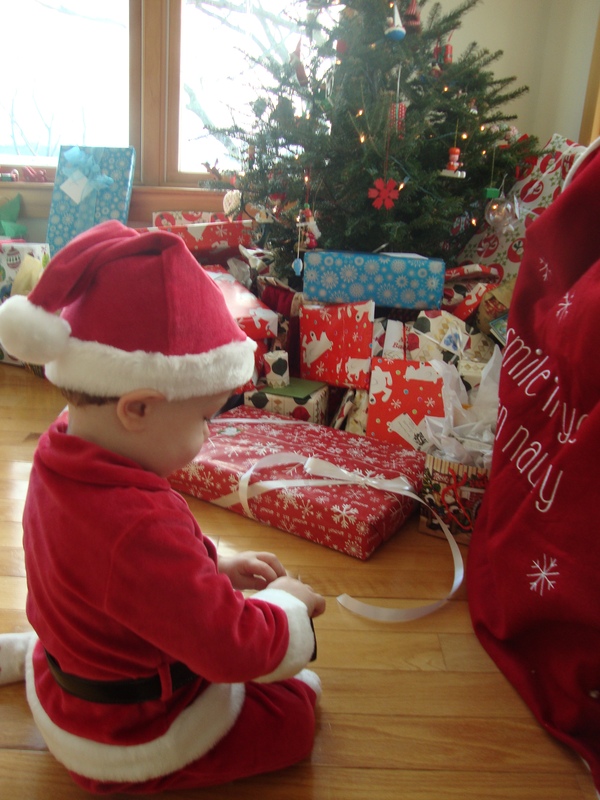 Emmett's first Christmas was great.� We headed up to Maine for Christmas Day with James' family and then back down to Boston to meet my parents and sister for Christmas round two.� Needless to say, Emmett got a lot of good loot. New Year's Eve was pretty quiet.� I co-hosted my company's Internet marketing podcast in the afternoon, which was a lot of fun.� Then James, Emmett and I spent a relaxing evening at home that included some yummy Thai takeout, a cozy fire, watching the ball drop and drinking champagne at midnight. Check out the various Baby Lump photo albums on 2009 at http://www.flickr.com/photos/littlebabylump/sets and videos at http://www.youtube.com/pamelump. 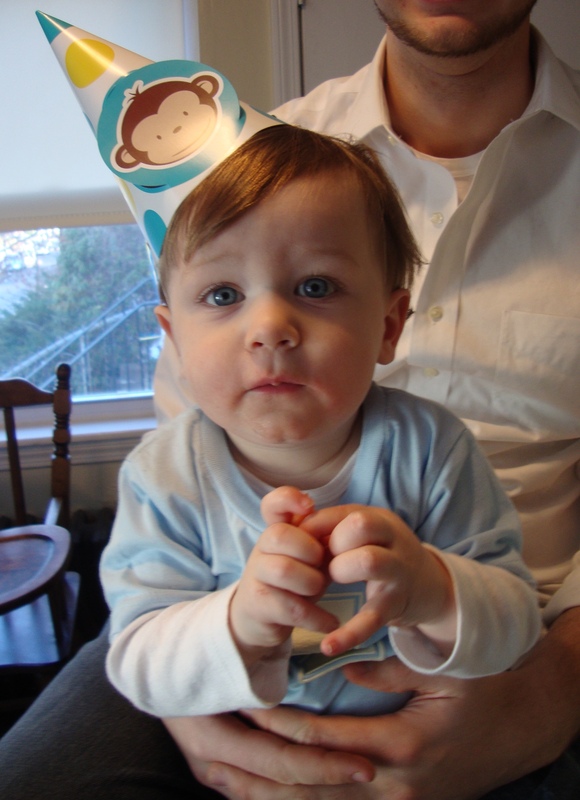 Cheers to 2010 and to more milestones, happiness and love for Baby Lump, and thanks for reading along in '09! Happy New Year from LittleBabyLump.com!